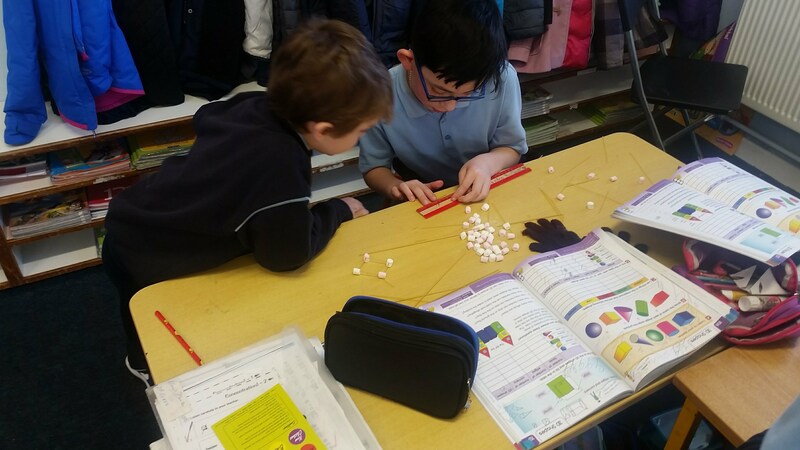 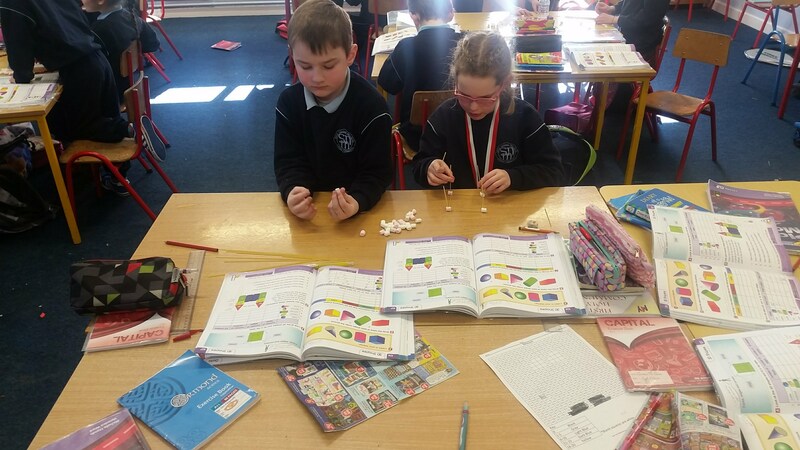 To help us learn more about 3-D shapes we decided to make them. 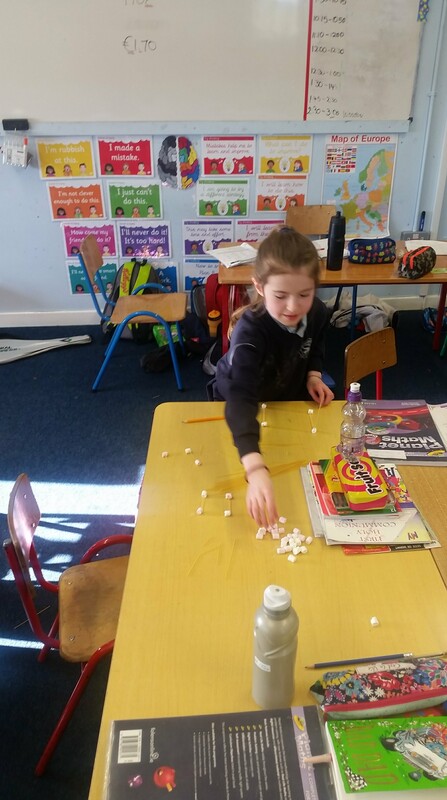 We used mini marshmallows for the corners and spaghetti for the edges. 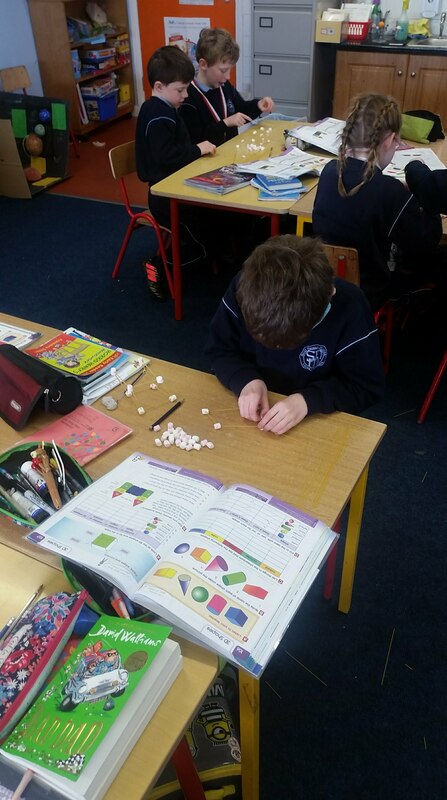 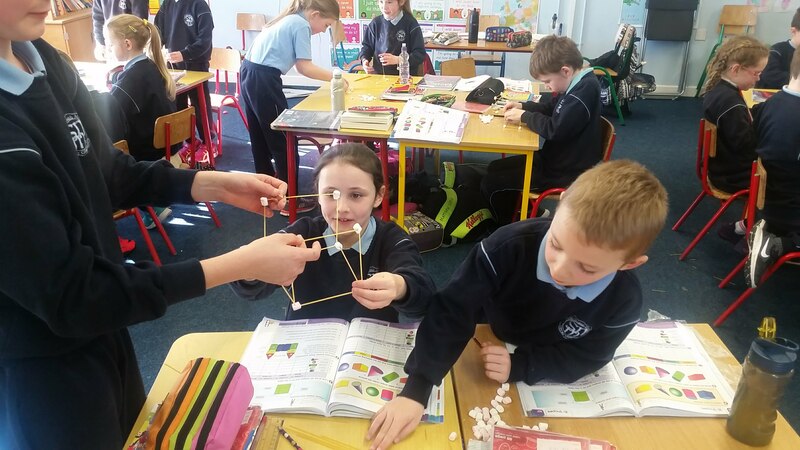 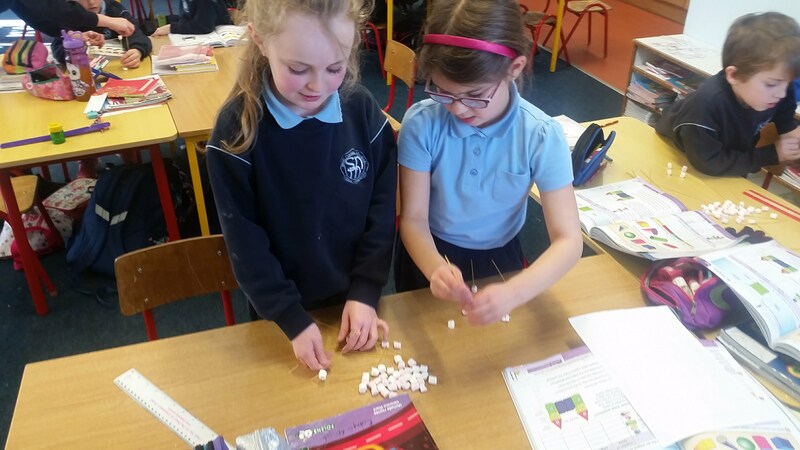 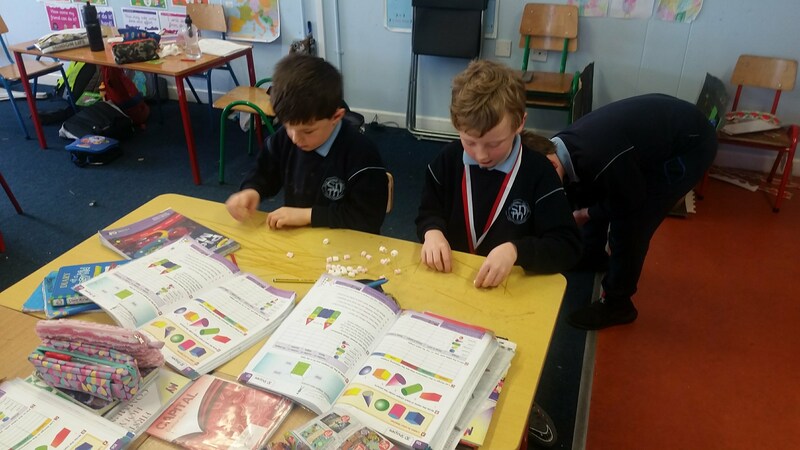 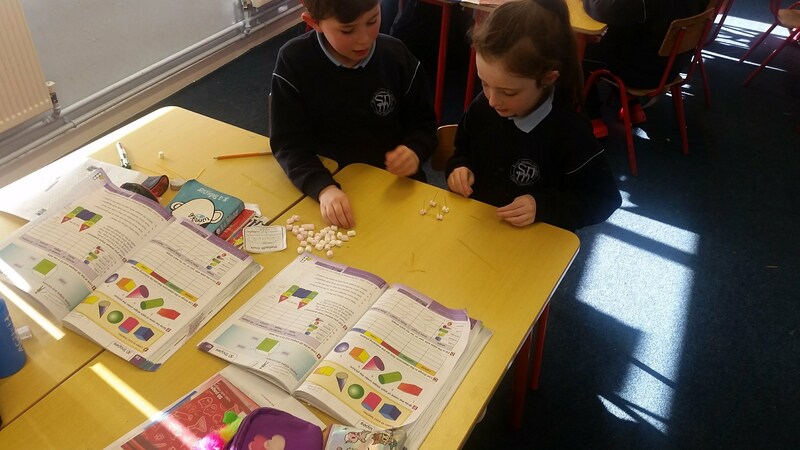 Each group managed to make cubes and cuboids but after several failed attempts we realised that cones, cylinders and spheres cannot be made because they have curved edges. 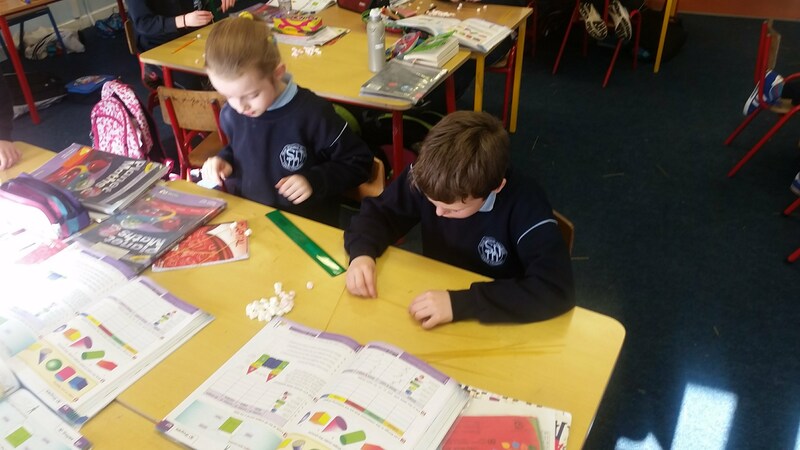 The highlight of the lesson was that we got to eat the marshmallows at the end! 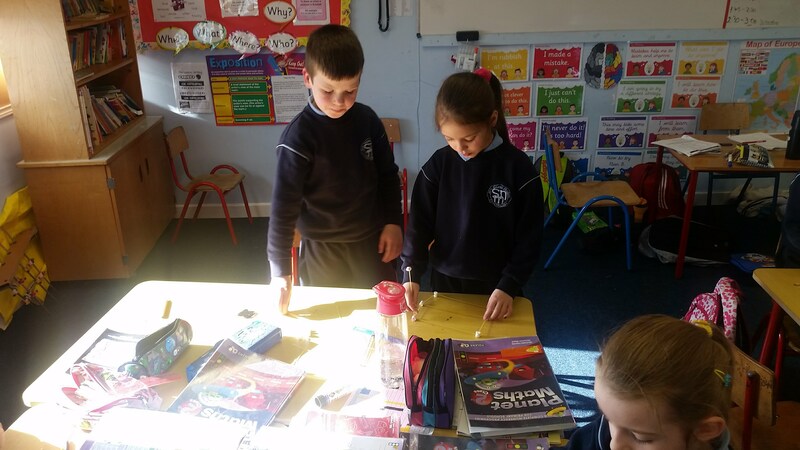 After Ruarí and Cjs first attempt at a cuboid they realised that all edges needed to be the same length so they used their ruler.